So you thought microdermabrasion is the latest in the cosmetic treatment to improve the appearance of skin. Well, am afraid you are not just as updated as you should be. Vibraderm is the latest addition to the world of cosmetic treatment. Vibraderm basically targets to offer a reliable as well as a safe treatment which helps in stimulating natural collagen production apart from exfoliation to enhance the skin’s appearance on any area of the body. Vibraderm stimulates the collagen production and exfoliates any area of the face or body. There are many people now who opt for vibraderm over other procedures to achieve optimal results. Who are the suitable candidates for Vibraderm? Vibraderm is best for people in the early stage of aging or for youths suffering from damaged skin. People with hyperpigmentation, mild acne scarring, fine line as well as poorly textured skin. Vibraderm device consists of a paddle like thing covered with fine fastened abrasive particles. The stainless steel paddle will cause less skin irritation as opposed to traditional microdermabrasion treatments. During the procedure the device will be moved evenly over the skin by the doctor and the paddle at that time gently vibrates at a very high speed. The treatment will not give rise to any skin laceration or discomfort therefore the healing as well as the recovery time would be minimum. The treatment takes around thirty minutes. Vibraderm treatment package comes in six to ten treatment and multiple treatments are performed normally. Post the treatment, the patient might complain of redness which generally lasts for about an hour however if it does not subside then the doctor should be contacted immediately. Post the vibraderm treatment, a proper skincare regimen needs to be followed. You will be able to use make-up and your regular cleansers and lotions immediately post treatment. Daily Wear sunscreen of at least 30 SPF. Vibraderm will enhance the skin and the results will be seen after about a week post the first treatment however additional treatments will be required to maintain results. Vibraderm endows your skin a soft, polished feel along with radiant bright look. Once you are through six sessions of vibraderm treatment your skin will be boosted enough to produce new cells as well as collagen which leads to a healthier and a smoother looking skin. Patients should usually undergo about four to ten treatments then they will have to do maintenance treatments every two to three months. As this procedure does not involve any kind of surgery or anesthesia, there is no downtime too. There could be some redness which may stop people away from doing their regular tasks. If you have a sensitive nerve issue then the process may be a bit difficult for you as the vibrations from the machine could be painful enough, therefore the treatment will not be done in certain areas or completed as per your satisfaction. The cost of the vibraderm treatment varies from place to place and doctors and also depending on where the treatment is done. Who need to avoid vibraderm? Vibraderm needs to be avoided by people with deep acne scars as it is not much effective on them. People with dark pigmentation as well as spots can be treated best by combining Vibraderm and IPL treatments. 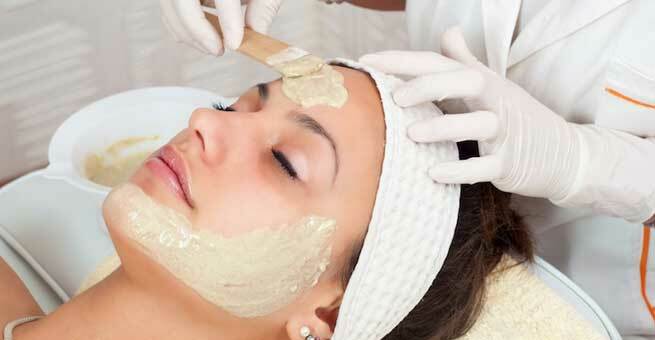 Also Read – You Say Smooth Radiant Face- We Say, Dermaplaning It Is!